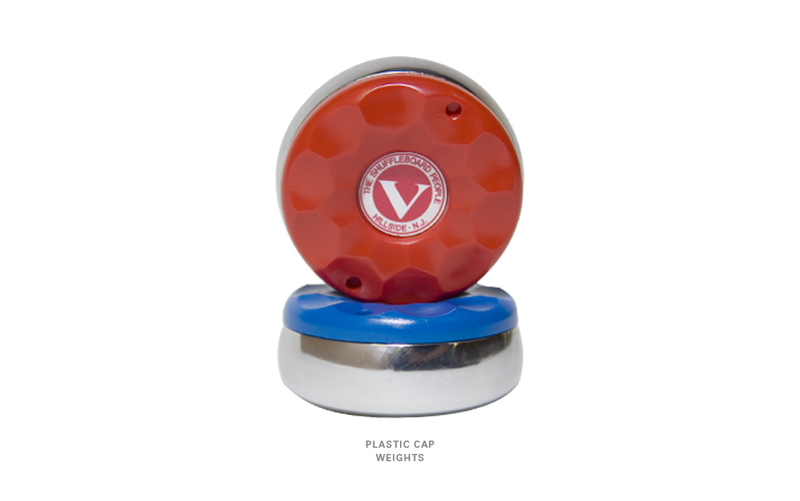 Official set of 8 - 4 Red and 4 Blue Venture Regulation Shuffleboard playing weights (pucks). High quality pucks feature plastic topped caps, heavy chrome plated steel and offer good balance for feel and playing control. Regulation Size of 2-5/16". Each puck weighs 300 grams, which is within the tolerance for a regulation size set of weights.